Prague is a fantastic city. If you haven’t already been, I urge you to add it to your 2016 list! Until October, I hadn’t been Prague since I spent a summer holiday as a kid travelling around Czech Republic with my family, so I was well overdue a visit, and there’s no doubt I appreciated it so much more as an adult. It’s a great city to immerse fully yourself in and come back wiser given its fascinating history that’s so very recent and relatable. 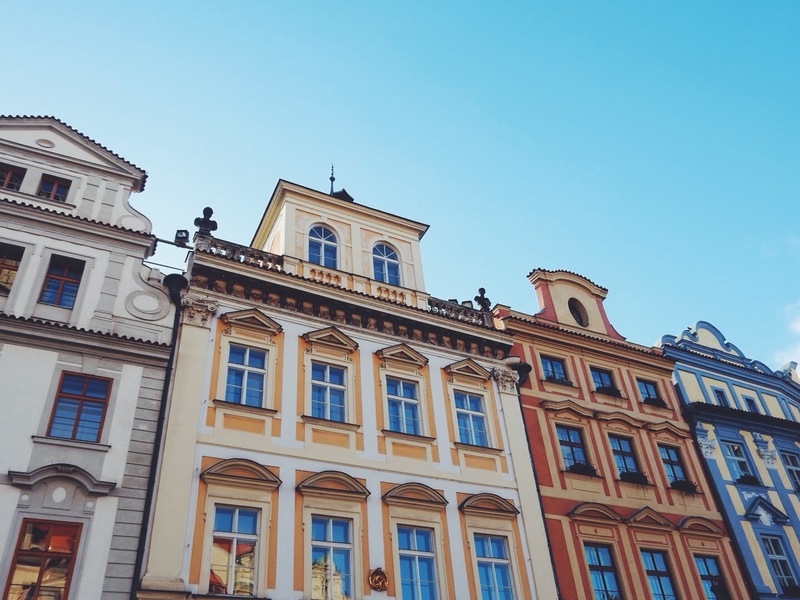 I feel like I really got to grips with Prague and made the very most of it thanks to Travelove, a trip planning company that helps create bespoke itineraries for you and lets you see a city like a local (with the help of a generous local who’s guiding you around). You log on to the website, choose the activities or tours you’d like to do, let them handle your flights and hotel booking if you like, and pay the sum price in advance. Depending on the activities you choose, there can be a general daily fee (but let’s not forget this is a startup company that’s still very much growing and works with locals giving up their spare time!) but you also get a wonderful personalised guidebook to keep, which is far more concise and bespoke than a Lonely Planet guide, and a memento you’ll be keen to keep. 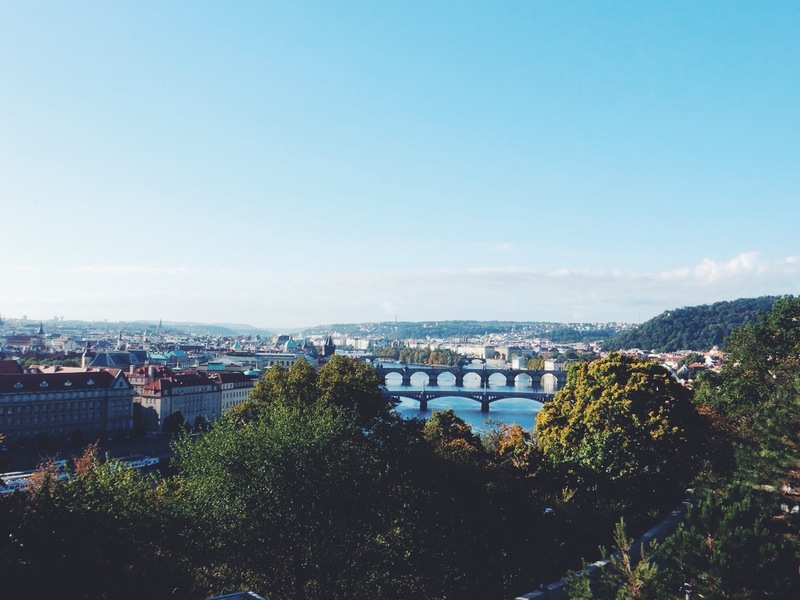 Here’s what I got up to on my weekend in Prague with Travelove, all of which you can of course plan into your own itinerary or do on your own accord too. During this 4 hour tour I ate an impressive 9 dishes and had 5 drinks. Not bad at all. 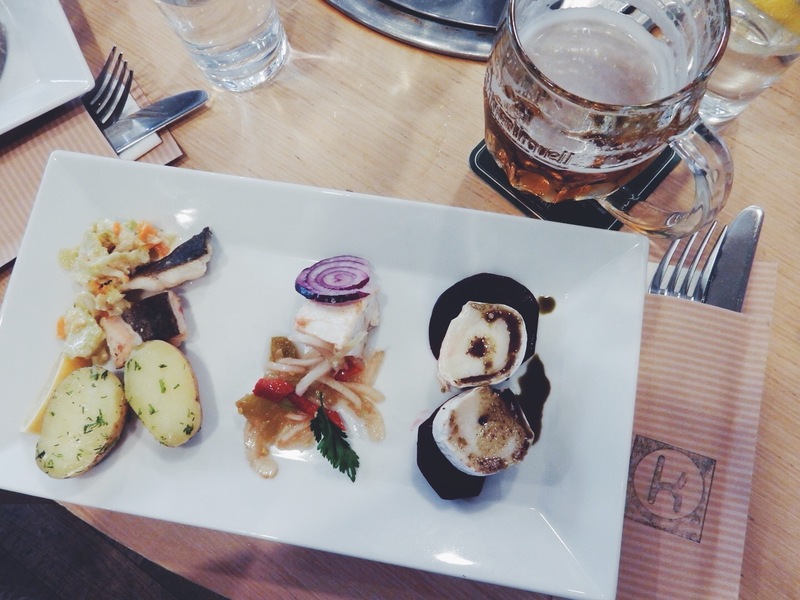 If you’re a foodie, this €102 is a great authentic way to learn about and taste Czech cuisine. Lenka, my lovely guide took me and 5 or so others around 7 restaurants and eateries. 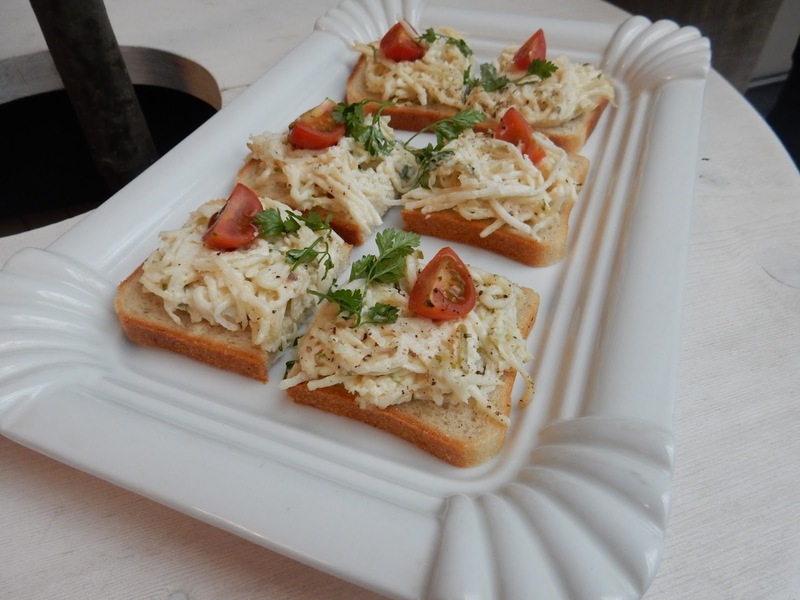 We started at Sisters Bistro where were tried chlebíček, the traditional Czech open-faced sandwich typically featuring a mayonnaise-based salad. They were yum! Then, if you’re a meat eater, I’d recommend visiting Naše Maso, a popular butchers where the group tried beef tartare, but you can also book a table for dinner, which is meant to be great. There was some trout and goat’s cheese at a restaurant I’ve forgot the name of(! 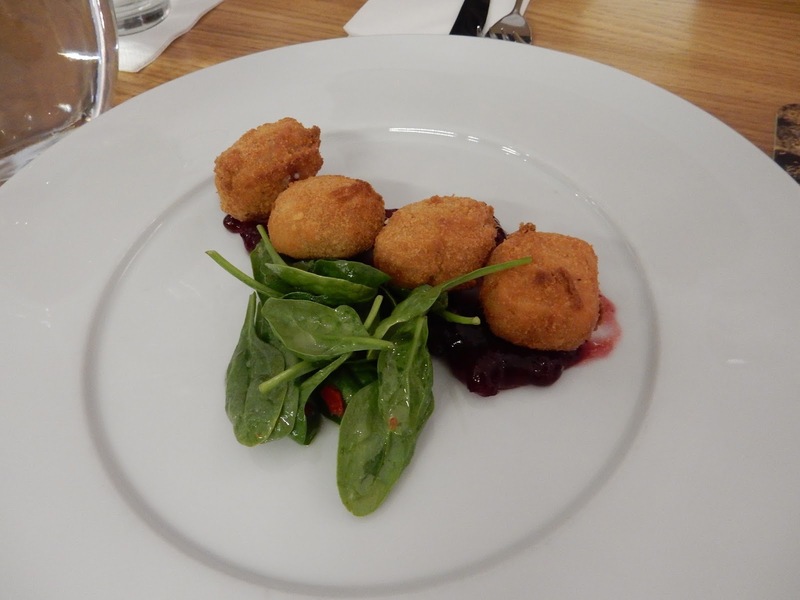 ), before some incredibly stinky but delicious fried, molten Romadur cheese with cranberry sauce at my favourite place on the tour, Restaurant Mincovna which was on the edge of Old Town Square. 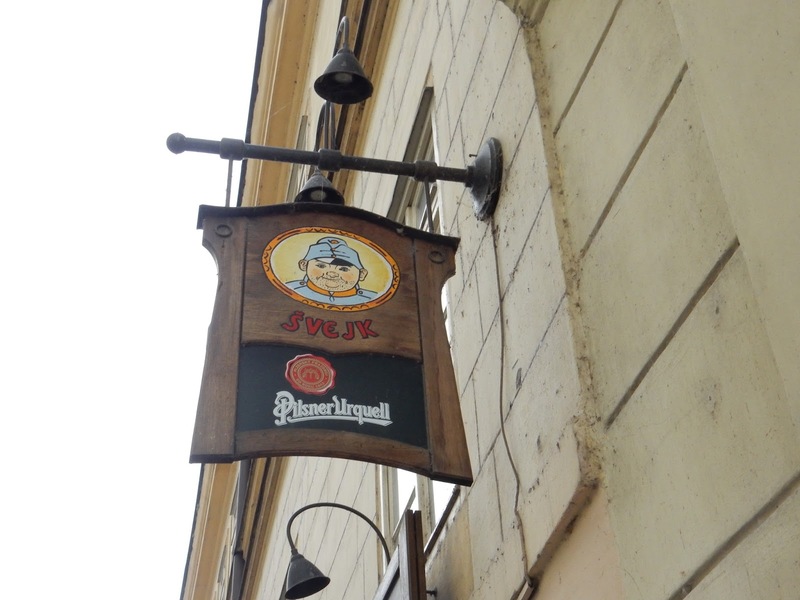 Most of the things we tried were washed down with a half pint of Pilsner Urquell…when in Czech and all! I also tried Slivovitz, a lethal homemade plum brandy, and Becherovka, a Czech herb bitters with a secret recipe. After a little sweet course at Choco Cafe, we finished the tour at RED Pif wine bar, where we tried a selection of interesting Moravian wines. 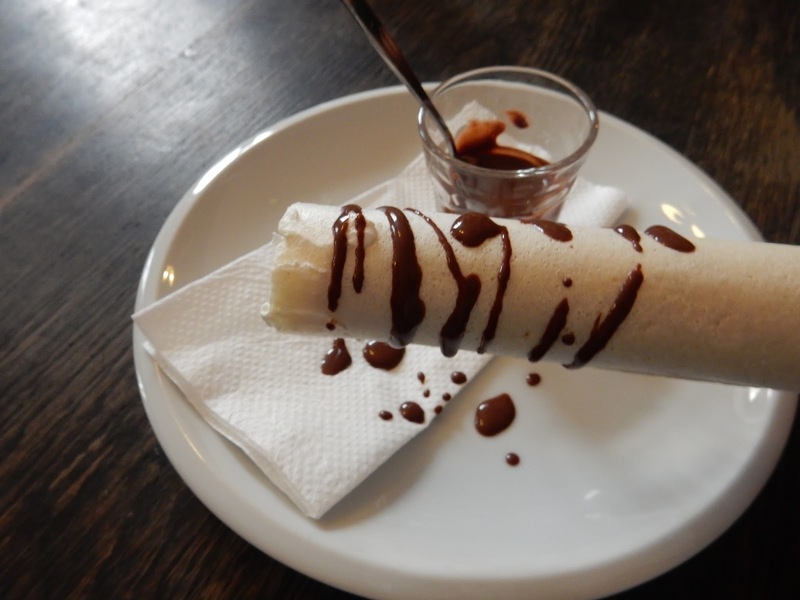 Next time I’m in Prague (and I recommend you do the same! ), I’ll book a table for dinner here as I’ve heard wonderful, wonderful things about the food, but for a good and thorough overview, Lenka’s tour was fab! On sunny Sunday morning, I took a boat trip down the Vltava river, out of the city itself to the vineyards — who knew Prague had vineyards!? 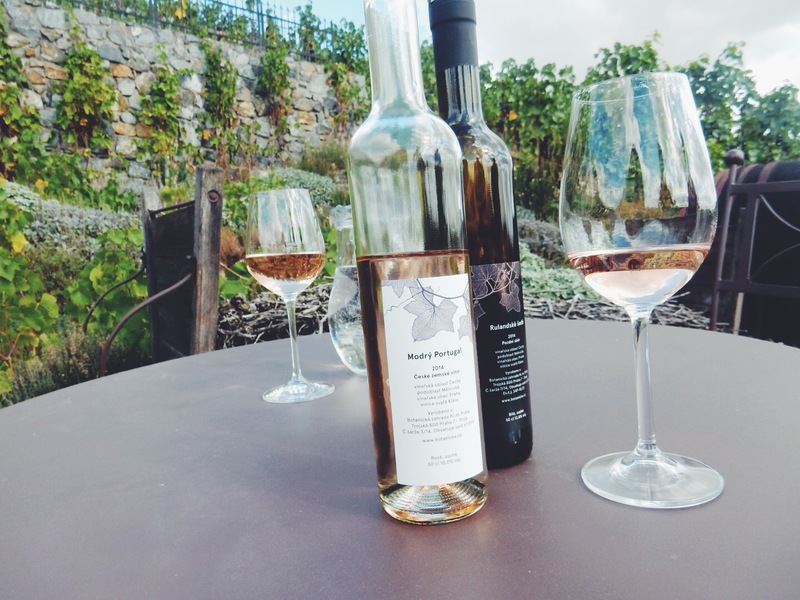 The boat journey came as part of the Enjoy the Beauty of the Vineyards experience on Travelove, but was definitely an experience in itself, a lovely relaxing one at that, and a great way to see the outskirts of the city, the castle from afar, and the landscape. 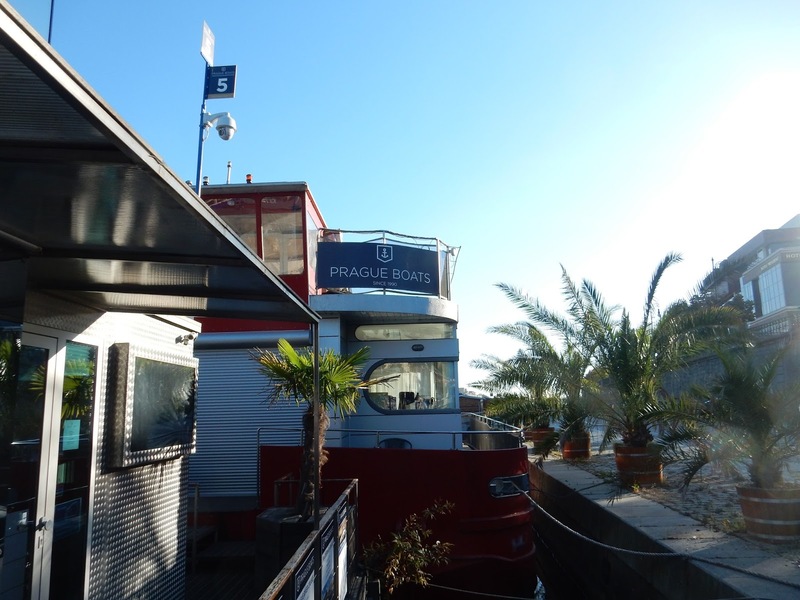 My lovely guide, Zuzka met me at my hotel and we wandered over to Prague Boats pier 5 to pick up our tickets. As we had 20 minutes to kill, we wandered over the Svatopluk Čech Bridge and climbed up the stairs to Metronom, a giant metronome and incredible lookout point, which was formerly the site of a giant Stalin statue (destroyed in 1962). I’d definitely recommend climbing up here — just look how good the view was (below)! Aboard the boat we got a seat outside and the lovely journey lasted about 45 minutes. The St. Clare vineyards were just a short walk from where the boat dropped us off. I’d definitely recommend visiting them if you’ve time in Prague as they’re fascinating and you feel like you’re in the middle of the countryside. They also prove Czech life isn’t just about Pilsner, plus the wine is amazing (not to mention very, very limited edition — in fact only available at the vineyard itself!). The vineyards are part of the botanical gardens and remain from the reign of Charles IV who was a keen wino and during his time on the throne surrounded the city in vineyards. I spent just over an hour at the vineyards, learning about and witnessing the very small scale production, and of course trying the product! I sat outside in the sun and savoured a glorious bottle of local rose, before being kindly given a bottle to take away. After the tour, feeling slightly wined, I jumped on a bus to the Nádraži Holešovice metro station and caught a train back to Wenceslas Square in the city centre no problems. 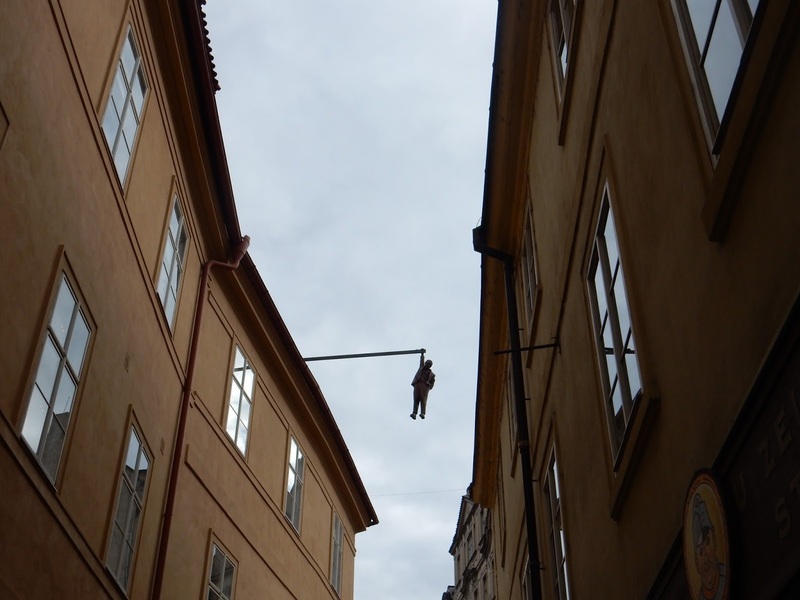 On Sunday afternoon back in the city centre, I’d signed up for Travelove’s Walk Through Old Prague History experience, which to be honest, I was kind of dreading. I tend to find learning tours dull as hell, plus have the attention span of a fly. In hindsight, this was probably one of the highlights of my itinerary. The tour was just me and my guide Hanka. There’s no doubt tour guides are usually dithering old folk but Hanka was a 20-something girl, who wore a double denim and Converse ensemble that I was mega jealous of. She totally changed my idea of ‘history tours’ and we had a great time exploring the city on foot for a couple of hours, me asking all sorts of stupid questions and her answering them no probs. I could stop and ask anything and I could say “wait, wait wait, I still don’t get it” as many times as I needed (err, a lot). Never before in a city have I learnt so much that’s actually stayed in my brain instead of floating out of the other ear. So if anyone wants a lecture on the fall of Communism, I’m your gal! I’d seriously recommend this €40 tour to anyone who’s a bit of a history dunce like myself. To tell you the truth, I was a little sceptical about using Travelove to start with. 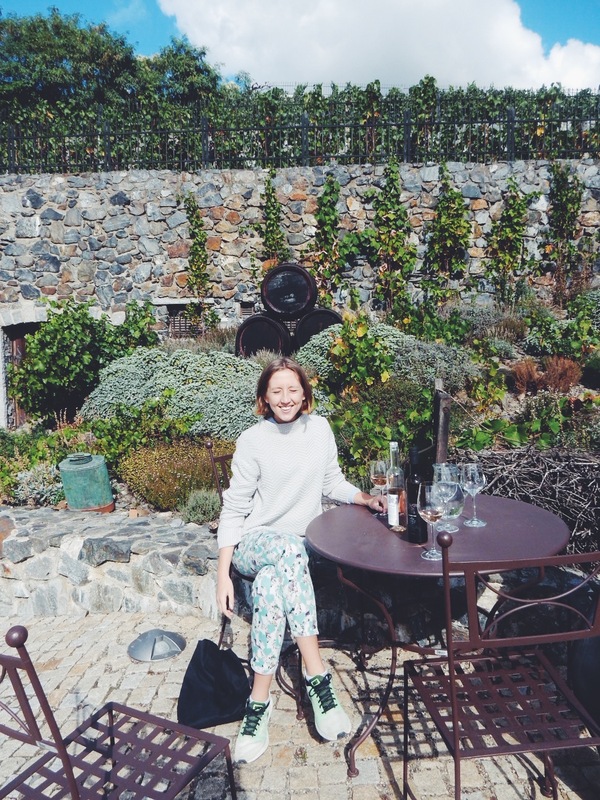 I like to think I can master my own itinerary and figure out the best bits of a city to see, but honestly, I gained so much more from my trip with their help. I feel like I learnt so much about Prague and its history, yet none of it wasn’t boring learning like going around a church with a headset, it was me getting out of it exactly what I wanted. 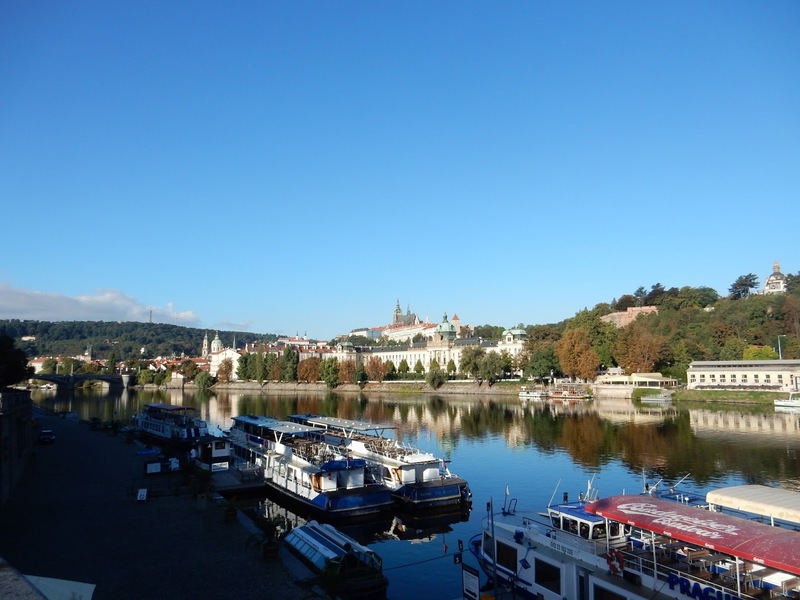 Travelove is a Czech-based company but now offers local tours and itinerary planning for a whole host of destinations including Singapore, Finland, Turkey, Holland and Israel. It’s by no means the cheapest way to see and explore a city, but if you really want to understand the culture and history, it’s a really fantastic way to do that. I’d definitely consider it for Israel, that would be fascinating. 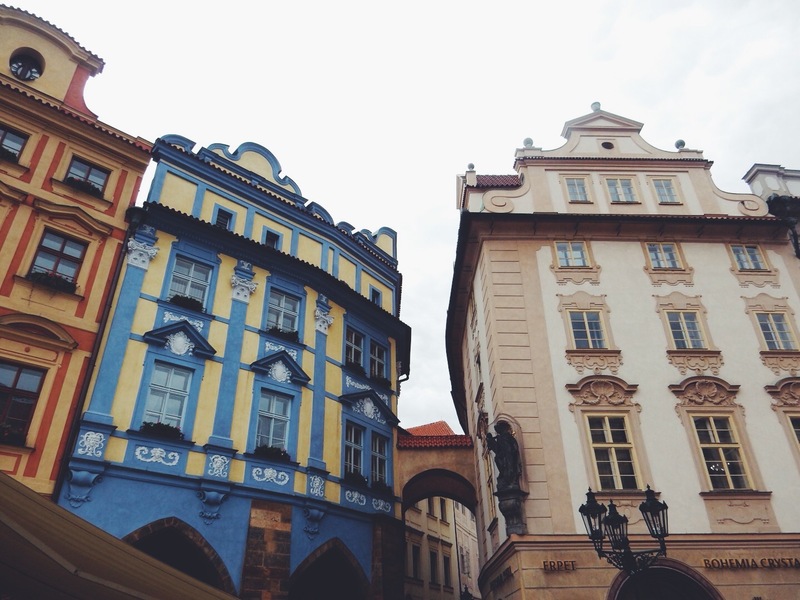 The only thing I didn’t love in Prague was my hotel! Eek… I stayed at Fusion Hotel, which felt far more like a hostel than a hotel and I bloody hate hostels! It boasted about my room having “the largest bed in Europe” which was just bizarre when there’s only one of you and you’re sleeping in a 6 person bed!?! Next time, I think I’ll stay at Hotel Josef, which looks super chic and is still mega affordable at £63/night — told you Prague was cheap!